Tis the season of Christmas surprises, and we have an awesome one for you! 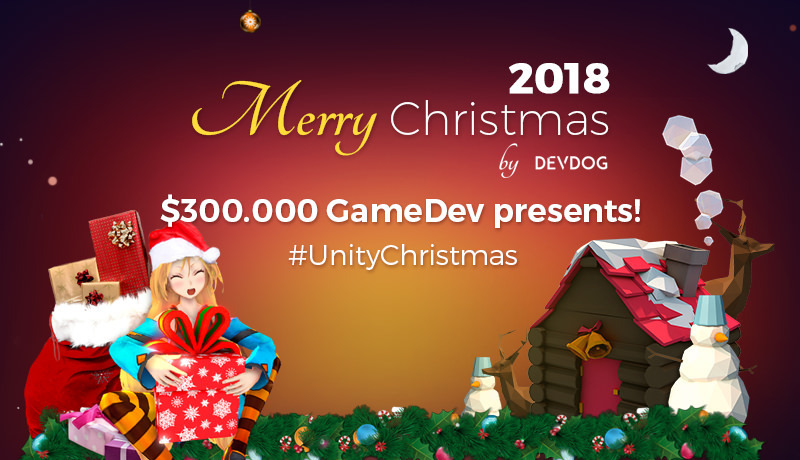 Sponsored by all your favorite Unity Asset Store devs (Ludiq, Amplify Creations, beffio, and so on), Nordic Game Jam, and Pocket Gamer Connects, we (Joris, Bryan and I – Devdog) have launched the third annual Christmas Giveaway Calendar for all Unity game developers! BONUS: As a special gift this year, there's a copy of the $45 Nested Prefabs by Visual Design Cafe to all participants. You can sign up right here. For the past weeks, we’ve been collecting sponsored gifts related to Unity (asset vouchers, product keys, conference tickets etc. ), and throughout each day of December leading up to Christmas Day on the 25th, we will be sending out these sponsored gifts as early gamedev Christmas presents via e-mail to hundreds of lucky winners. The total prize pool is at $300,000, with over 1000 presents donated by the awesome sponsors! Merry Christmas from Devdog, and every single one of the sponsors.